Artie Wu is a con artist. I would not have included the three adventures about the confidence men pair of Artie Wu and Quincy Durant, as excellent as they are, except that in two of the three chronicled adventures, powerful elements of an international nature were behind the actions of these men with significant ramifications. Most certainly the two main characters are far from being employees of any Intelligence agency for they are crooks quite renowned around the world for being able to trick just about anyone into doing just about anything. Wu and Durant have been the best of friends, closer than brothers, since they were both six years old and new residents of an orphanage. Durant had no inkling of his origins but Wu learned that his history was quite colorful. According to reliable sources, Artie Wu was the illegitimate son of the illegitimate daughter of the last Emperor of China, making him truly the Pretender to the Throne of the Middle Kingdom. Durant has his doubts but since it makes for a good story, he doesn’t make an issue of it. Luckily for the sake of the excellent stories, these facts are brought up, mentioned in passing, and then let go so as to not dominate superb adventures with more twists and turns than an out-of-control roller coaster. While the third adventure has nothing to do with spies or intrigue, it is still excellent and worth reading as the reader is made so completely enamored with the two main characters. Another generation would have called them scallywags for the things they do, if they didn’t shoot them first. The fact that a small suburb of Los Angeles might have been taken over by the mob is not something Artie Wu and Durant would normally have been interested in but a group very high up in world politics is anxious for the pair to bring down the corrupt leadership before their influence reaches out across the world. The fledgling government of Aquino in post-Marcos Philippines is the target of some powerful people whose interest is not quite certain. 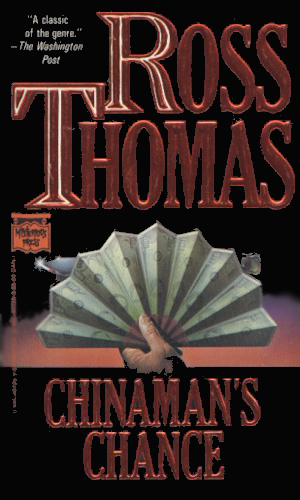 When a government terrorism expert is picked to buy off one of the leading rebels in that region, he enlists the aid of Wu and Durant to keep him alive, and to help abscond with the $5,000,000 in payoff money. Two hypnotists hired to help prove an actress was innocent of murder disappear. The two investigators hired to find them hire Artie Wu and Durant for help and the fun really starts. 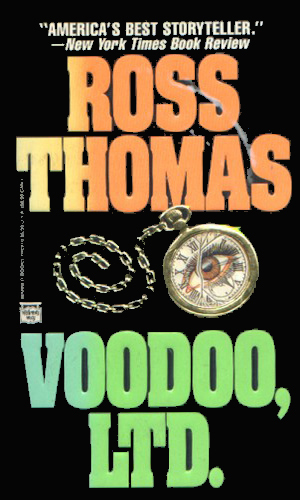 Ross Thomas was an absolutely excellent author whose many books about a wide range of subjects were still not enough for this hungry reader. Still, I wish he had crafted more adventures of Wu and Durant, just as I hungered for more about his other series in this collection. The three Wu books he gave us are terrific and worth reading more than once but it would have been nice to have had more. That is the mark of a good writer. 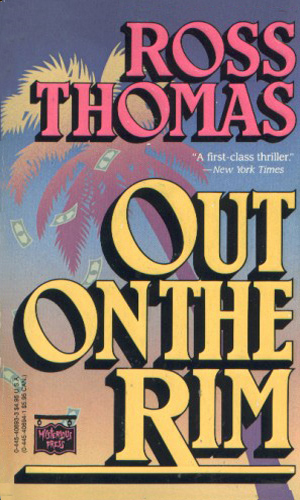 Writing humorous books that don’t slide into the absurd is difficult but Mr. Thomas handled with it such a deft touch that you move from exciting to laughter without noticing.